On October 3, 2018, we received confirmation that the in-service date for two new Mexican pipelines is delayed. 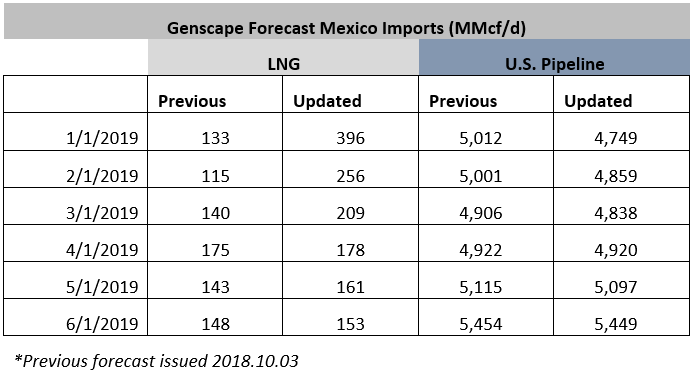 These delays change our forecast for Mexican supply, leading to higher-than-expected LNG imports and lower-than-forecast U.S. pipeline exports to Mexico. In particular, the delay will have a pronounced impact on Permian outflows, postponing an anticipated 0.8 Bcf/d increase by three months, delaying much needed relief to the basin. Yesterday evening, we received confirmation from Fermaca that the two southern portions of the Wahalajara system – the La Laguna-Aguascalientes (LL-AGC) pipeline and the Villa de Reyes-Aguascalientes-Guadalajara (VAG) pipeline – will not come into service until March 2019. 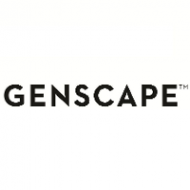 Genscape’s Mexico Natural Gas product features five-year supply and demand forecasts; prior to yesterday’s confirmation, our forecast expected these lines to enter service in January 2019. 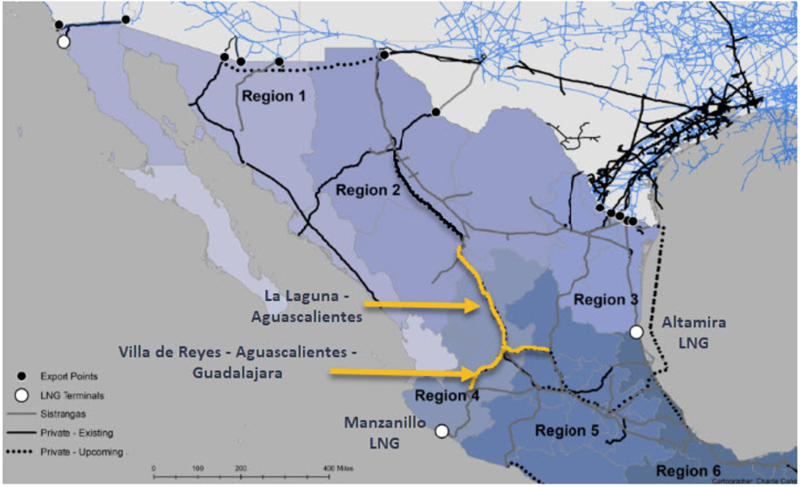 The LL-AGC and VAG legs will play a key role in allowing U.S.-sourced pipeline gas to displace Mexico’s supply from LNG imports at the Manzanillo terminal on the Pacific Coast and the Altamira terminal on the Gulf of Mexico coast. Furthermore, these lines are expected to provide significant de-bottlenecking relief to the U.S. Permian Basin in West Texas and New Mexico, where production has grown so fast that it exceeds current pipeline takeaway capacity. Displacement of Manzanillo imports, however, do not appear possible until VAG is in place. In our revised model we begin displacing about 50 percent of Manzanillo volumes starting in March 2019, then increase it to 75 percent displacement in April 2019. Since we now anticipate higher volumes of LNG imports, we expect lower U.S. pipeline flows to Mexico in Q1 2019. Previously we were forecasting Q1 2019 flows would average 4.97 Bcf/d, we now expect volumes just shy of 4.82 Bcf/d. While the impact to total U.S. pipeline exports to Mexico is not drastic, the impact on Permian growth is. In our previous forecast, we had Permian-to-Mexico exports increasing by 0.84 Bcf/d by end of Cal ‘18. These delays now mean that bump will not materialize until March 2019. The Wahalajara system will extend from Waha in the Permian Basin to Guadalajara in central Mexico. The delay of the two southern legs of this system will sustain Mexico LNG imports longer than expect, and delay a bump of 0.8 Bcf/d of increased exports from the Permian until late Q1 2019.